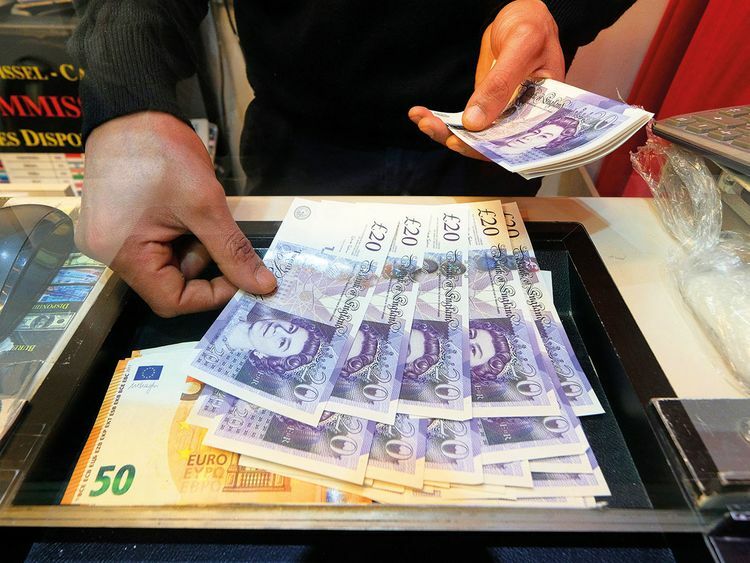 London: The pound stumbled below $1.31 on Thursday after a delay of up to six months to Brexit left traders scratching their heads about the direction for the British currency, though few expected wild price swings in the months ahead. One-month implied volatility — an indication of investor expectations for price movements in the pound — plunged to its lowest levels since August 2018. The three-month and six-month measures were back at January 2018 levels. That partly reflects the removal of an immediate risk of a no-deal Brexit — which was expected to have hammered the pound — but it is offset by prospects of a British Conservative party leadership vote for a replacement for May, a general election, and the threat to the British economy of further uncertainty. On Thursday the pound edged lower to $1.3079, while against the euro it was unchanged at 86.085 pence per euro. The Daily Telegraph reported earlier this week that May was considering offering lawmakers a vote on whether to hold a confirmatory public vote on her Brexit deal in a bid to resolve the impasse holding up ratification by parliament.